For some, 9/11 is nothing more than a page in a textbook. As the world and the United States remembers 9/11, this New Yorker wanted to point out a stark difference in society 15 years later - most high schoolers weren't alive for or remember 9/11. In school, it was always kind of an unspoken reality we all knew about. There wasn't much to say because we all remembered it, and we all knew at least one person who was affected by it or had died in it. The lesson about 9/11 was literally a somber "you guys lived it, so I don't need to lecture". Might I add being in New York and New Jersey is very different than being in other areas of the country, because we were at the forefront. I have always found it to be an interesting conversation when 9/11 comes up with people who live in other areas of the country, not from New York City or remotely close to it. It is also a conversation where I am notably very quiet and occasionally shaking my head. Now that the September 11th attacks occurred fifteen years ago, most of us can recall the day even if we were in grade school. 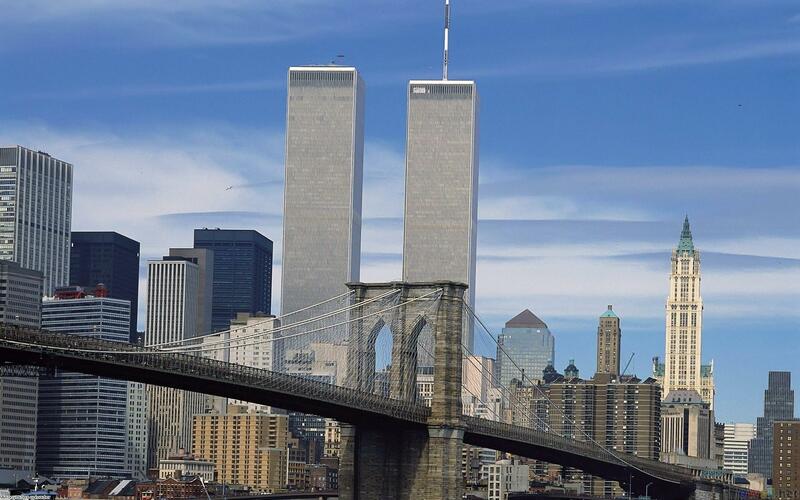 Most of us, especially New Yorkers, can also recall seeing the Twin Towers on the daily, and seeing them in movies offers a strange experience. The thing is, schools are being tasked with the hard reality to teach older children and teenagers about it. For older generations, 9/11 is burned into their memories, so much so movies with scenes that resemble a terrorist attack can get people visibly upset. Teachers need to tread lightly when teaching, but still try to convey how horrible of a day it really was. Events like Pearl Harbor, the Holocaust, and even the Civil War (which saw the most American casualties of any war) have faded enough into the history books that it can be a relatively comfortable, albeit melancholy, conversation. Odds are many of us don't know Pearl Harbor survivors or Holocaust survivors, given the amount of time elapsed alone. September 11th is different, especially for the New York area. We know survivors, we knew people who died, and some of us probably even saw some of the death and destruction itself. One World Trade Center is quite gorgeous, but one has to realize what happened for it to get there - and that's probably quite difficult for those who weren't alive for it. People who were just alive during it likely feel a connection to it those who weren't alive for it probably don't understand all that well. The movies from the '90s aren't as weird for them - the skyline always looked as it does now. There's also cars from the 1950s in old movies, too. The high schoolers and kids who weren't alive for 9/11 may just view it as another Pearl Harbor or Holocaust - something purely in the history books. So on the anniversary of 9/11, I urge these high schoolers to not shy away from a story or coverage or even political drama. I urge them to be sensitive and try to save their teachers an awkward lecture dominated by an obvious generational difference. I urge them to listen to the people willing to talk about it despite the utterly horrific subject matter and ultimately traumatizing accounts you might read. Remember that unlike the Holocaust and the Civil War, a larger amount of people among you remember it and might have even experienced it. Don't view it as text in a history book, because the scarred New Yorkers and American citizens as a whole are among you everywhere. They haven't faded into the history books as much as you'd like to think. Take it upon yourself to do some late-night Googling and ask your older friends what it was like. After all, the results and ramifications of this event will most certainly be affecting your lives, if it hasn't already, in ways that can't be taught in a history book. But being respectful (especially in New York) is probably at the forefront of this issue. You weren't alive, but a lot of us were - and it's our job to educate you, but your job to understand it. And thank you, teachers, for having to take that up year round. More importantly, if you visit the 9/11 memorial, I urge you to also not take selfies. If you'd like a unanimous way to piss off about 8 million people at once, just go there and take a selfie. Don't be surprised if you're yelled at, given the side-eye, or insulted, either. This is New York, you know, and we have a tough reputation for a reason.